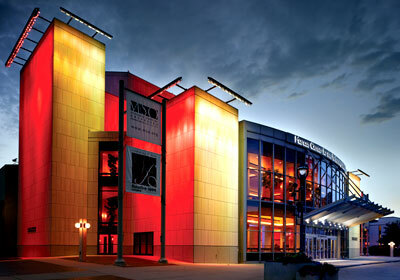 The Marcus Center for the Performing Arts is a concert venue in downtown Milwaukee that serves as home of the Milwaukee Symphony Orchestra, Milwaukee Ballet, Florentine Opera, and the First Stage Children's Theater. The center contains multiple performance spaces: Uihlein Hall, Todd Wehr Hall, Vogel Hall, Peck Pavilion, Bradley Pavilion, Green Room, Anello Atrium, and the Magin Lounge. Convenient parking near the Marcus Center is available at the listed Parking.com locations. Click on the location address for location hours, rates, detailed location information and a map.